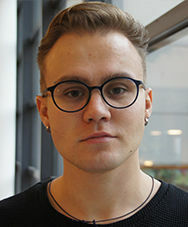 Sergei Zhilin is a PhD researcher at the Faculty of Technology, Policy and Management of Delft University of Technology, at the Organisation & Governance section. Sergei holds an MSc-degree in Computer Science and an MSc-degree in Urban Studies. His research focusing on self-organizing communities involved in bottom-up urban development. Before Sergei became a PhD researcher at TU Delft he worked in several software development companies as a web-developer and a CTO.